Photo: Old and new in Kota Bharu. 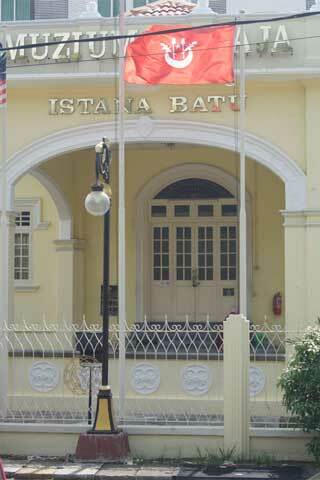 It was passed onto Sultan Ismail Petra as his official residence and then declared a museum in 1991. Browse places to stay in Kota Bharu on Agoda.com. Free cancellation. As simple as this building presents itself it has quite a colourful history and is jam-packed with collectibles and royal possessions, such as gifts, paintings, clothes and even hunting ’trophies’ such as a tiger skin rug and a stuffed ostrich. Browse our independent reviews of places to stay in and around Kota Bharu. Read up on where to eat on Kota Bharu. Check out our listings of things to do in and around Kota Bharu. Read up on how to get to Kota Bharu. Planning on riding a scooter in Kota Bharu? Please read this. See below for more sights and activities in Kota Bharu that are listed on Travelfish.org. Where are you planning on heading to after Kota Bharu? Here are some spots commonly visited from here, or click here to see a full destination list for Malaysia.